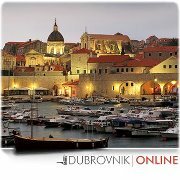 Are there any Internet cafes in Dubrovnik? It would be nice to be able to have contact with my friends while there. Is there a place (a shop maybe) where you could scan paper photos? I haven't got a digital camera. I'm really waiting for my trip which is due next week. of course there are i'net cafes. There is one next to the Pile Gate - opposite to Australian Bar Billa Bong. You have an Internet caffe just beside Hotel Kompas (Lapad peninsula), at the beach. Several more around Dubrovnik. TRAVEL CORNER is an Information and Reservation Center conveniently located in the heart of Dubrovnik business center, next to the ferry terminal and close to the Main Bus Station.